Prima Park Hotel is a concept hotel, inspired by the regional boutique wineries of the Judean Mountains. Stay at this hotel and take part in a celebration of good wines and delicious flavors. 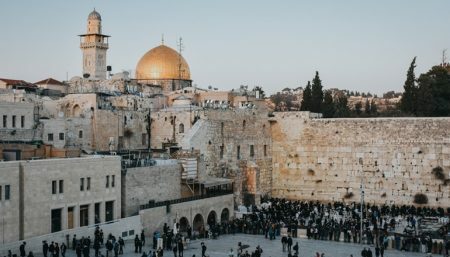 The hotel is located by the Chords Bridge, right at the entrance to Jerusalem, with access to the light rail, making it easy to commute to the city’s central attractions and areas. 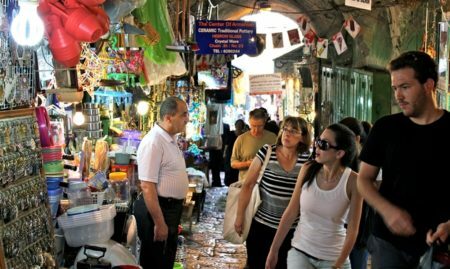 In addition, this location is perfect for those who wish to visit the area around Jerusalem. Inside the hotel you’ll find a classic lounge-bar, designed as a wine cellar, where you can relax and enjoy a glass of your favorite wine. Your meals will be served in “Tzel HaKerem” – the hotel’s spacious patio, which also functions as an event venue. The hotel’s rooms are spacious and modernly designed and are perfect for a restful and peaceful vacation. If you woke up on the adventurous side of the bed, grab at the reception a map of the nearby wineries and go explore the fine wines of Jerusalem Mountains. Prima Park hotel is ideal for celebratory events and conferences. Whether you’re hosting a symposium, private event such as bar/bat-mitzvah or a wedding, Prima Park Hotel offers 6 beautiful venues for all types of events – from small halls for intimate events to the beautiful Patio hall which accommodates up to 400 guests in a seating arrangements and 450 guests in a cocktail party style. In addition, there is an option of booking in advance a screen and a projector, a portable handsfree speaker, and a flip chart board. 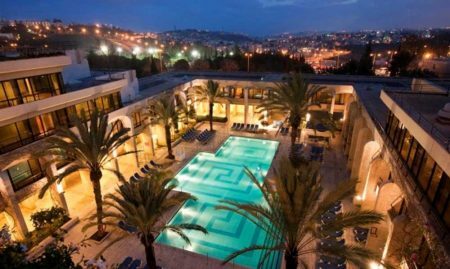 For those who are interested, the hotel’s synagogue is also available for private booking for up to 200 guests (You can also book a private synagogue through the hotel for an additional charge). Book your stay at Prima Park Hotel and get 5% OFF for Prima Club Members and other offers (you can join the club free of charge). Valid for booking online on Prima Park Website. For details, call +972-39533854 and use promo code. The hotel is good enough, the duty manager Akramawi was very helpful and kind with us. The hotel is also only 10 minutes away from the old town with the light metro system. The stop is right in the back of the hotel! Check in was ok. The hotel has a great location, great breakfast buffet & the dinner buffet was great too. The dinning crew was amazing. We stayed 5 nights and 6 days and it was good choice for the group. The Comfort roo is a modern and fully equipped 23 square meter room. Perfect for: one person, couples, couple+1, or 3 adults. This 23 square meter Superior room welcomes you to an upgraded, renovated, and cozy ambience. Perfect for: one person, couples, couple+1, or 3 adults. This spacious and indluging suite spreads over a surface of 37 square meters, including a bed room and a vast living room space with a seating area. Perfect for: one person, couples, couple+1, Couple+2+baby, or 3 adults.